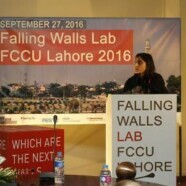 Leadership Forum hosted Lahore’s first Falling Walls Lab 2016, a conference on future breakthroughs in science and society on 27 September 2016. The conference presented an excellent opportunity for students as well as professionals to present innovative ideas, research projects and social initiatives. 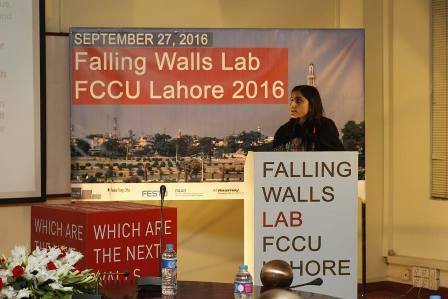 Sponsored by the DAAD Information Center Pakistan, FCCU’s Falling Walls Lab 2016 attracted a record breaking number of applicants as over 130 participants (third highest in the world) out of which 20 shortlisted candidates came together to share their ideas. The event was made possible with the support of Director DAAD, Mr Lars Bergmeyer. Distinguished Formanite, Mr Jahangir Tareen was the Chief Guest and presented the award to the winning idea to Awais Shafique for a device that would assist in preventing tremors – Breaking the wall of “Dependence”. Osamah Hafiz won 2nd prize while Abdullah Ahmad won the third. 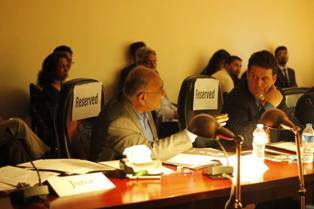 Award-winning journalist, Mr Najam Sethi headed the Jury formulated to decide the award. FCCU’s Rector, Dr James Tebbe concluded the proceedings by thanking the management, the faculty and staff members and students who worked to make the event possible.